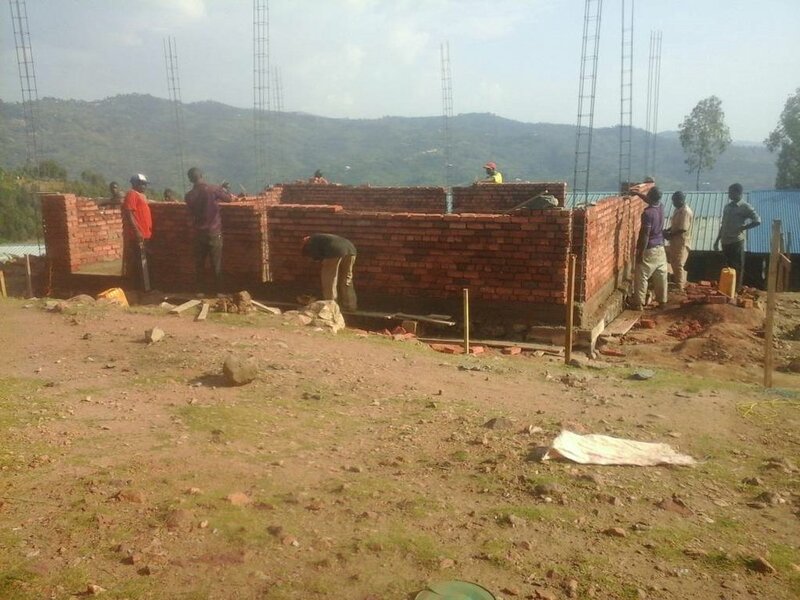 Busoro, overlooking Lake Kivu, is one of the newest schools we're working with. Together with the Ministry For Education and the local community, TFS is improving the local primary school. Perched on the top of a hill in the Rubavu District, and overlooking Lake Kivu, Busoro has more than 2100 students in P1-P6. Students attend half-day classes and squeeze in 50-60 students per classroom. With only 15 classrooms the school is looking to build 3 more. The Ministry of Education has agreed to fund 2 of the 3 and TFS will fund the 3rd. As of January, 2018, the new school class has been completed and students are set to start using it right away! All finished. A view from the front. A side view. Note it's on a hill overlooking Lake Kivu (in the background). Ready for the first day of students!